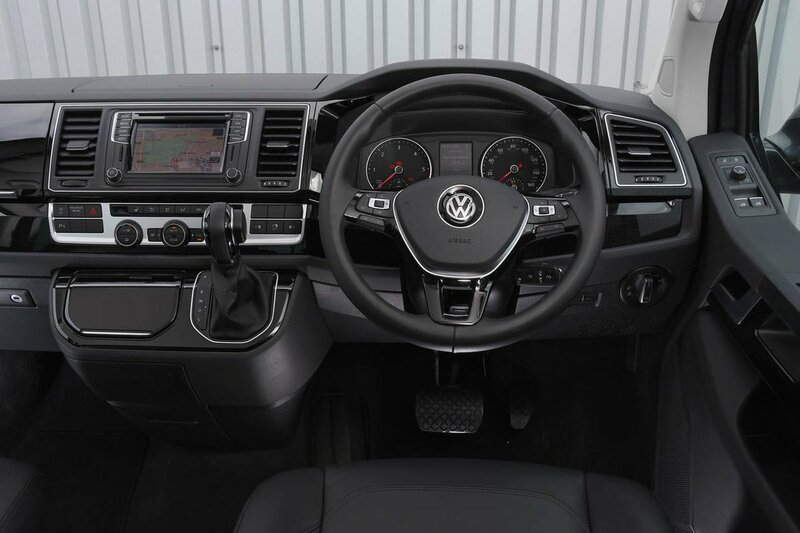 Volkswagen Caravelle Interior, Sat Nav, Dashboard | What Car? 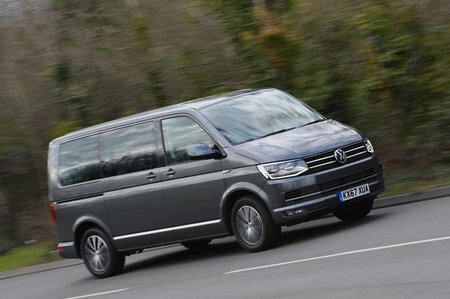 Compared with other van-based MPVs, the Caravelle feels pretty plush. As well as a selection of attractive trims, chrome detailing and solid-feeling switches, there’s even soft-touch plastics to be found. 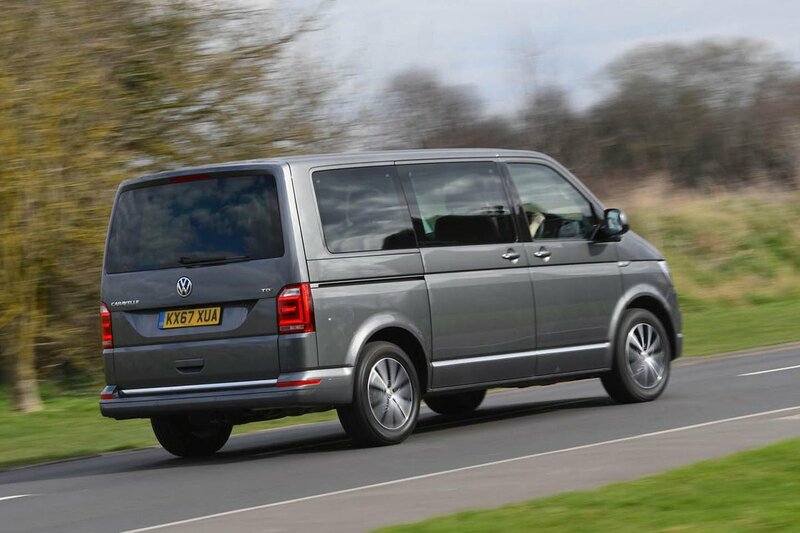 Although the interior is better than the likes of the Citroën Spacetourer, it’s still some way behind that of Volkswagen’s own Sharan or the Ford Galaxy. Thanks to huge windows, visibility is for the most part very good. Although it’s tricky to judge where the nose is, the flat sides make placing it on the road easy. Even so, we’d recommend the optional front and rear parking sensors that, usefully, also come with a rear-view camera. And it’s not just big windows that help visibility; the driving position is higher than in a full-sized Range Rover, even with the seat as low as it’ll go. That makes it easy to spot hazards on the road or just do a spot of sightseeing. All Caravelles get a 5.0in touchscreen infotainment system with Bluetooth, a DAB radio, a USB socket and a 3.5mm socket. A 6.3in screen is optional but required if you want to add Apple CarPlay and Android Auto smartphone mirroring – another cost option. And if you want sat-nav, you’ll need to pay for it – and quite a lot at that. At least you get the bigger screen and smartphone connectivity thrown in with the sat-nav option.